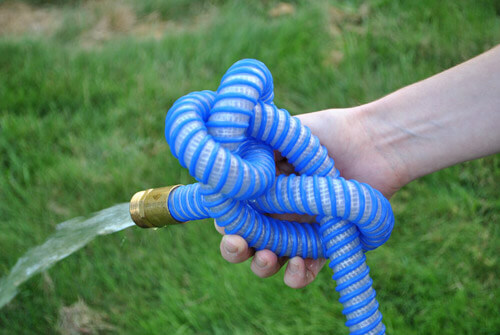 This garden hose is truly unique with a double helix construction made of polypropylene and an inner spiral polyester fiber. 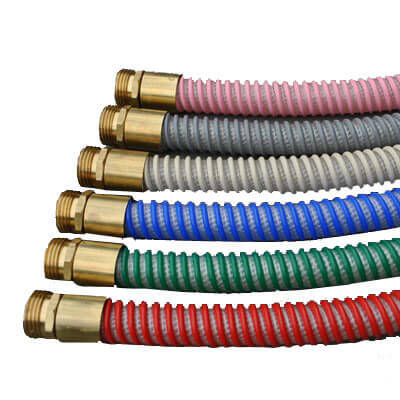 The hose is 35-50% lighter than other standard gardens hoses making it easier to handle. It offers good chemical and abrasion resistance with a crush proof design giving superior durability. Great for home, garden, landscaping, vehicle wash, construction sites or as an industrial supply hose. Standard in Blue (Available on request in Red, Pink, Grey, Green, or Beige) for only 50 FT lengths, 25 and100 FT only available in blue. Hot Water Rated Garden Hose. Rated up to 160 °F. A garden hose is the essential product for pressure washing. This Heavy Duty Garden Hose is rated to be used with cold water.